When it comes to toiletries and beauty products, I would say I am about 80% natural 20% conventional. (I really do not want to give up my Diorshow ) One way I have decreased the scary chemicals I am exposed to is by making homemade toothpaste. This toothpaste only has 3 ingredients. Although you can find a lot of variations around the web and on Pinterest, I have played with the formula a bit to get what I think is the best consistency. At first using this concoction was a bit strange because I decided to forgo any sweetener. It definitely took about a week to get used to the different flavor and the mouth-feel. Yes, it seems oily. It also does not foam up. But after using it for a while, I ran out and had to use some of #1's conventional toothpaste. I hated it. I could not believe how overly sweet and overly chemical it tasted. 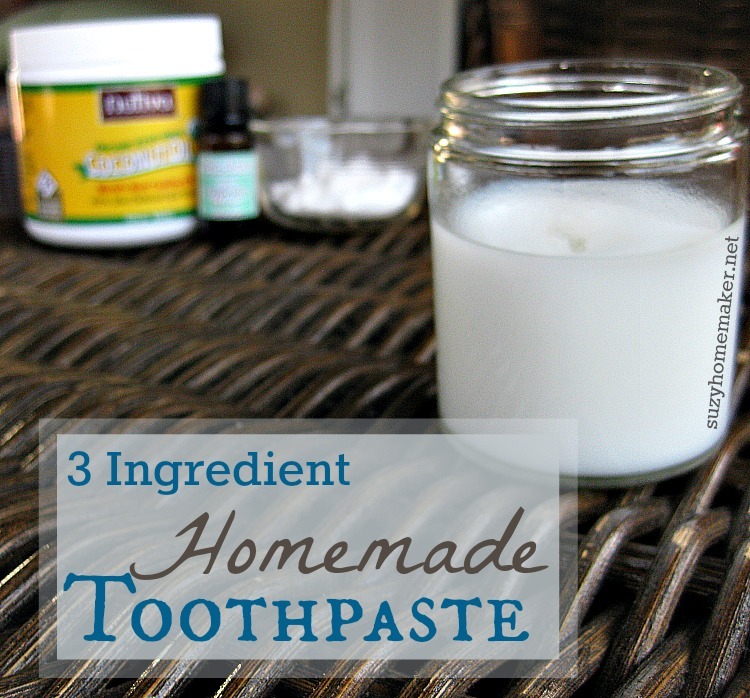 So now I am hooked on my homemade toothpaste. It is easy, cheap, and natural. How about you? Would you make your own toothpaste?